Staff member, Missy Smith, takes a deeper look into cryptocurrency trend. Every winter break or summer season, I choose something to study and dive into when I’m in between “stuff” with a little more time to grow a hobby or a part of my dream. Last summer, I scratched my creative butch itch and learned how to do some woodworking. I sanded and polyurethaned a bench in my driveway in the hot summer sun. The result is pretty awesome! Here is an after and before pic. Someone asked me what I learned in the process. I made a list. Sanding by hand is tedious, but I got to know the wood better by taking my time and using patience with each stroke, resting when necessary, and being more perceptive of changes when I come back to approach the canvas. No shortcuts. I cannot rush the work. When I rushed or tried to take shortcuts, the end result was blegh. There are not a lot of women hanging out at Home Depot and sometimes I had to figure things out on my own or wait for a long time before anyone would help me. I met a lot of cool folks in the woodworking and refurbishing community! This past Winter break, I decided to dive into creative work and finish some lingering music projects from 2017. After reading headlines about something called Bitcoin and pondering my own investments, I accidentally stumbled into cryptocurrency. Like Home Depot, when I started researching, I didn’t see a ton of women (or African Americans) talking about it. I did some digging. To no surprise, I quickly learned that there are not a lot of queer folks, women, or women of color in the crypto universe, just like STEM, corporate America, and higher education. But I know we exist. I see us all the time, and I am one of the few in these spaces sometimes. Being an outlier is not new to me, so I was curious about crypto. If the boys can do it, why can’t I? Why can’t we? What is it? A Blockgeeks Inc. guide explains it well. “If you take away all the noise around cryptocurrencies and reduce it to a simple definition, you find it to be just limited entries in a database no one can change without fulfilling specific conditions.” Even more simple, your bank has a ledger that accounts for transactions, but in the crypto world a network of your peers owns the ledger. Everything is tracked, there are not mistakes (so far. And yes, I know things get hacked. Banks get robbed too!). If you are still confused, here is an image that links to a deeper dive. Why am I so interested in cryptocurrency? I think that for the first time in a long while (however long that is), there is something that is leveling the playing field for folks who might not have a chance to get ahead. Millenials know that should save money and invest in their retirement. Some folks are fortunate to be able to do it, and others may not be so fortunate. For me, I am in the weird generation before Millennials, and I have a unique outlook on tech, financial security, and I’m DIY enough to want to make my own way. Beyond investing, there are some great companies doing innovative work and reimagining the ways we send, spend, and receive money. I found some Facebook and Reddit groups for my identities as a woman and as a black person investing in crypto. There are minority professors and business leaders working as admin, holding FB live chats to talk about new coins and market strategies, all while growing the network of folks who are looking for a different way to make and spend money, digitally. I even learned about an LGBT cryptocurrency that wants to showcase the buying power of small(er) and mighty communities! Working at the Women’s Center has exposed me to global issues that impact women, and after studying eco feminism for one of our events last semester, I was excited to hear about sustainable currency initiatives. There are a lot of women and minorities working in the crypto space, leading companies that are offering innovative solutions to 20th century problems, thinking forward and manifesting a better future. I learned about Power Ledger ($POWR), an Australian company that wants to recreate buying and selling of energy using blockchain technology. Their CEO, Dr Jemma Green is taking her team from Down Under to work in North America, earning headlines as “the woman powering the energy industry on the blockchain” from her peers! Lympo ($LYM), a new coin that may change the healthcare industry, is led by CEO Ada Jonuse. Her company is changing the way the internet uses healthcare, data, and fitness apps and incentivizing wellness. There are even some companies that are making it easier to send money to family members in other countries. They do it faster and cheaper than traditional currencies. Women are also creating their own powerhouses networking groups to support each other and teach the world about crypto. So after all my digging over break, what did I learn? For starters, I am not a financial advisor. But also . . .
Coming back from break is hard, but I get to know myself by studying the pieces of my bigger dream. I’m in school to make my dream concrete, so I continue to dive into work that I love. By thinking of the future, I am able to find joy vs stress in the work. There is no quick way to make money. I cannot rush the calendar year. When I rush, I stress and become obsessive. Be careful with your spending. Learn about investing and how to use the different exchanges! I learned about a ton of cool people (people that look and live like me) making big headlines and leading 21st century companies, global entities, that will change the world. Many mornings, I wake up and find headlines about women in crypto. We are leading and contributing and the world is taking notice. Crypto will not last as another boy’s club, not if we can change the narrative. If you want some more reading, here are a bunch of recent articles, mostly about women and crypto, that have made my morning coffee more enjoyable! Have fun! Where Are The Women In The Blockchain Network? We see you. We believe you. You matter. Yesterday, across the UMBC campus, community members came together to support the Black & Gold Rush! The Women’s Center is so happy for the donations this year. We raised almost $700 on behalf of our campaign yesterday! We cannot express our gratitude, so we figured we’d let someone else tell a story about how awesome it is to be a part of the Women’s Center. For our final post, we got some stories from a West Coast alumni, the amazing Kelsey Donnellan! Kelsey shares a story about creativity and art as meaningful ways to heal. How did your time at the UMBC Women’s Center support your current work or career path? The UMBC Women’s Center was instrumental in my success at UMBC and in my career. The staff, resources available, and partners helped me recover from trauma that impacted me everyday. My need to survive affected me in ways I didn’t even know, which is why I needed the kind and gentle support of the Women’s Center. How would you describe your UMBC experience? My UMBC experience was filled with activities and experiences from clubs to living on campus to working on campus. One of my favorite experiences was with the Women’s Center as I healed from trauma and learned how to be a better advocate for myself and with others. Share a special moment from your time in the Women’s Center. How did it shape your experience as a survivor? During my second year at UMBC, I worked as an RA and had the opportunity to host events. Another RA and I decided to host spaces for survivors, like us, to create shirts for The Clothesline Project. Art therapy was a major part of my healing. Seeing people come in reminded me the importance of creating these spaces as people processed artistically. I was also reminded that my story, while only mine, was not unique. For those hours we painted, there was a shared understanding of the trauma we experienced and the healing we had left to do. Kelsey! We thank you for sharing your stories and for the work that you did/ do to help other survivors. There are so many people who benefit from having a supportive community! UMBC Giving Day Black and Gold Rush is an inspiring example of what the UMBC community can accomplish together. If you would like to support survivors of sexual violence at UMBC, and build a coalition of supportive allies, consider giving to the Women’s Center’s GritStarter campaign. Giving Day at UMBC may be over but our campaign plans to keep going strong through the end of Sexual Assault Awareness Month which is in April. Today is our Black & Gold Rush! The Women’s Center has meant a lot to many alumni and we are lucky to have their support for this season’s fundraising campaign. For this Black and Gold Rush, we were lucky to have time with former (and current) community members. 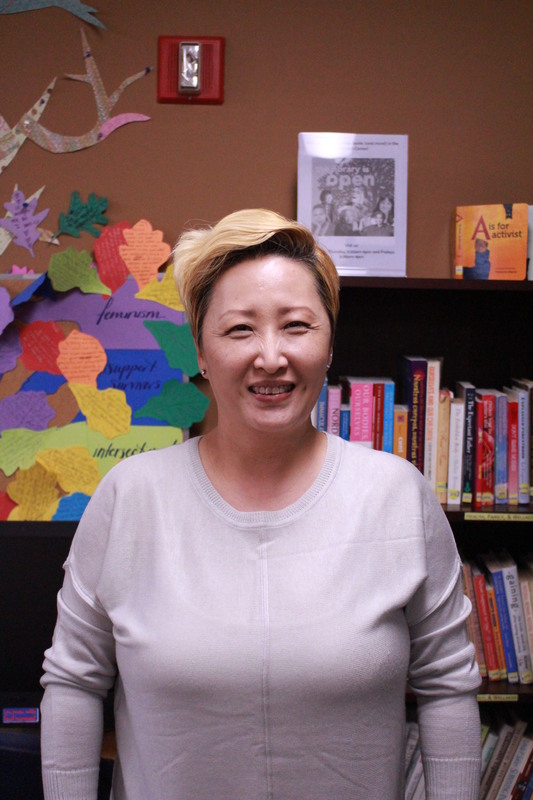 For our 2nd post, we got some stories from Yoo-Jin Kang about her love for sharing knowledge and finding support from our staff and the Women’s Center library! How did your time at the UMBC Women’s Center support your current work or career path? Through my work at the Women’s Center, I’ve had incredible opportunities to connect with the UMBC community at large in so many ways. Through leading our TBTN march to organizing identity group roundtables, I have learned with and from the community about the intersections of various identities, oppressions, and experiences. My work at the Center shaped me and allowed me to be the advocate I am today. I am always still learning and growing and have the center (among so many other programs on campus) to thank for the love and knowledge it has placed in my heart. How would you describe your UMBC experience? You might say that I was pretty involved 🙂 My freshman year, I started off in a living-learning community through the Shriver Center, conducting community service in local Baltimore-based organizations. I am a member of the Honor’s College, Humanities Scholars Program, and Phi Mu fraternity. I played in the university orchestra, was a Peer Health Educator and Relationship Violence Prevention Advocate (RVAP), and even conducted tours as a tour guide for potential new students! My favorite place to hang out on campus was sitting outside by the lake or the library. I loved my experience at UMBC and miss it often. The community is unreal and the support I’ve received from the staff and my advisors are invaluable to me. These relationships are lifelong and have supported me through so much, both personally and professionally. Share a special moment from your time in the Women’s Center. How did it shape your experience as a survivor? One quiet special moment I remember from the Women’s Center as a survivor is looking through the library and finding trauma-informed, survivor-centered books about healing. At the time, I was constantly seeking resources and books that would help me put words to my experience and also provide guidance on how to move forward. There was so much I didn’t understand, and in that way, I sometimes felt alone. Through borrowing books and talking one-on-one with Jess, I found so much individualized support that I know isn’t accessible everywhere. I am so grateful. Yoo-Jin, we are grateful for you and your bravery. We hope to continue to spread the message of #notalone and support current and future students! UMBC Giving Day Black and Gold Rush is an inspiring example of what the UMBC community can accomplish together. If you would like to support survivors of sexual violence at UMBC, and build a coalition of supportive allies, consider giving to the Women’s Center’s GritStarter campaign during UMBC’s Giving Day this February 28th. The Women’s Center has meant a lot to many alumni and we have their continued support for this season’s fundraising campaign. 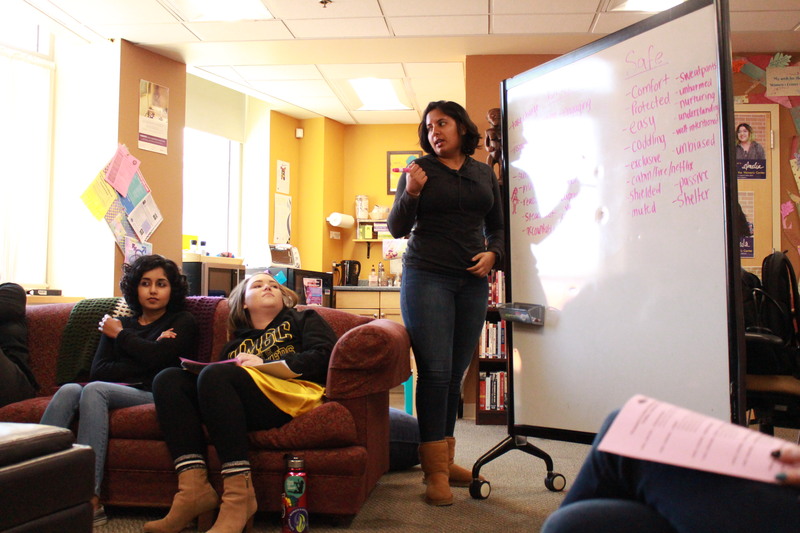 For Black and Gold Rush, we were lucky to chat with former (and current) community members about all of the ways the Women’s Center has been a useful and meaningful resources. 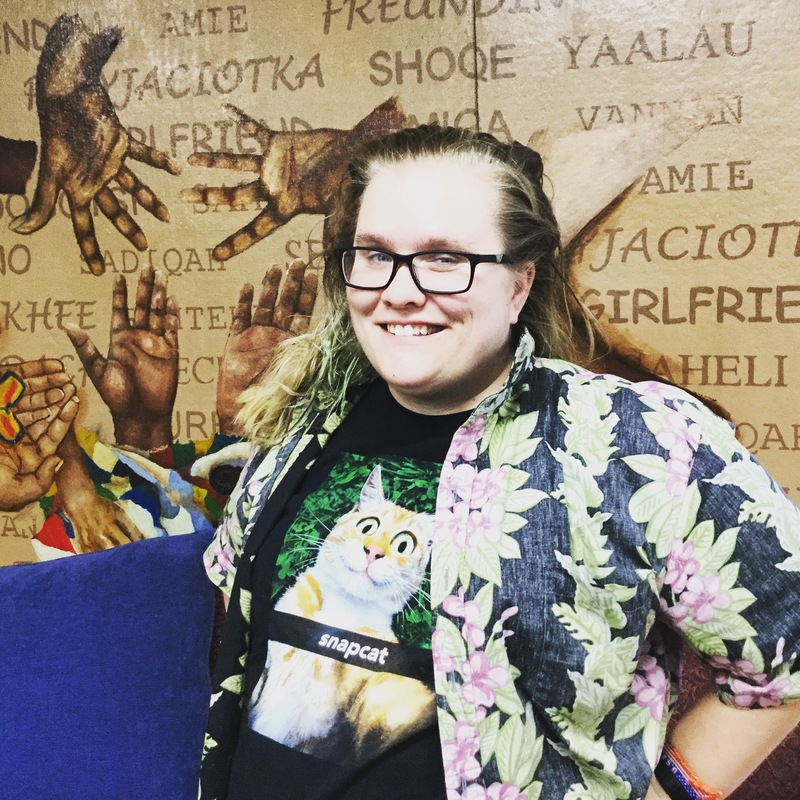 Take some time to hear from Kayla Smith, a recent graduate, and ambassador for our Grit Starter Campaign for Survivors of Sexual Violence, and get some insight into why the Women’s Center was a big part of her UMBC experience! How did your time at the UMBC Women’s Center support your current work or career path? Working at the Women’s Center gave me a framework to explain and further understand the importance of intersectional activism and feminism when I approach a particular issue in the law. How would you describe your UMBC experience? I loved being at UMBC. I made my best friends and had some of my most personally rewarding experiences while I was there. Share a special moment from your time in the Women’s Center. How did it shape your experience as a survivor? After I led my second Take Back the Night march, I was approached by multiple women who told me that they were able to share their stories and process what happened to them because of my bravery and courage in sharing my own experiences with trauma and recovery. To me, that was the most rewarding experience because it reminded me why my work with the Women’s center was so important. Kayla! Thank you for your bravery, for sharing your story, and for being a lifelong supporter of our mission! We are excited to introduce the new Women’s Center 2017-18 team! In no particular order . 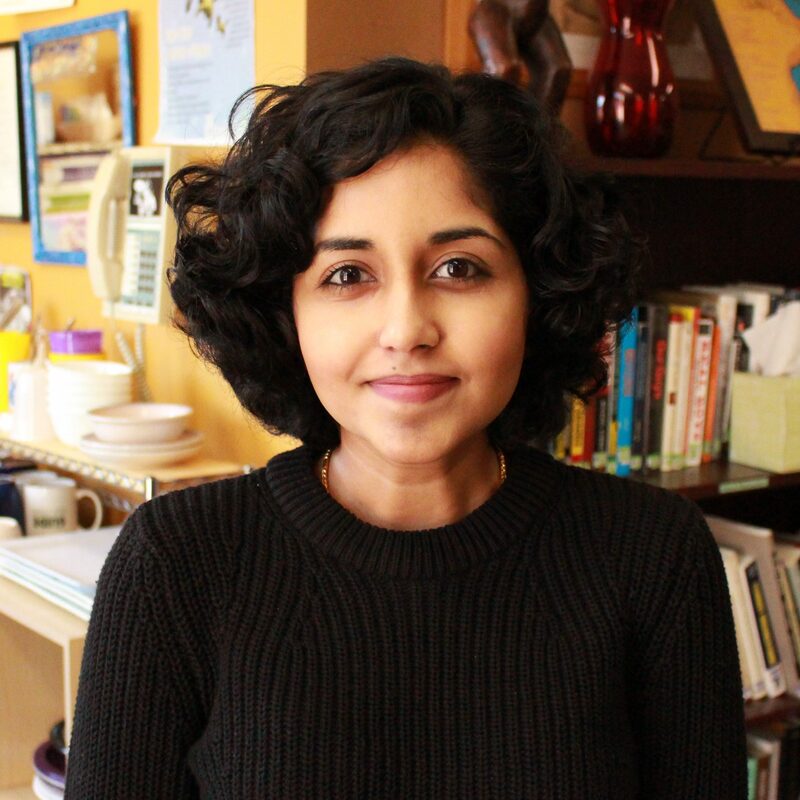 . .
My name is Harini Narayan and I’m a freshman in my second semester at UMBC. My majors are Global Studies and Political Science, with a minor in Public Policy. Social justice and advocacy is extremely important to me, so I hope to retain that beyond school when I enter the work field. I’m excited to work at the Women’s Center and explore my passion for activism with a wonderful group of people! Hello! I am Harley Khaang, and I am a transfer student, and a 2017 graduate of CCBC. I am a returning woman student, currently a junior in INDS, writing my degree in Communication Strategies and Creative Resolutions and Mediation. I am happy and grateful to be attending UMBC, and honored to be working as an intern for the Women’s Center. It is an amazing space where I feel at home, and at the same time, learn about and actively participate in feminism and activism. I plan on being involved with the Women’s Center a long time to come! Hi everyone!! My name is Marie and I am really excited to begin my final year at UMBC and my first year as a new staff member in the Women’s Center! I am a Social Work and Women and Gender Studies double major, and hope to continue on to grad school next year at UMB School of Social Work. I really feel like combining these particular majors will be a tremendous advantage to my professional success in the future! I am currently a second year Returning Woman’s Scholar, a member of the Phi Alpha Honors Society, and a first year Title IV-E student. When I am not at UMBC, I am a (happily) single mother of two little girls that are two and one. Between taking care of them and juggling my school work and personal life, saying that I stay busy is an extreme understatement. However, it is because of my girls that I am able to be as committed to my education as I am. 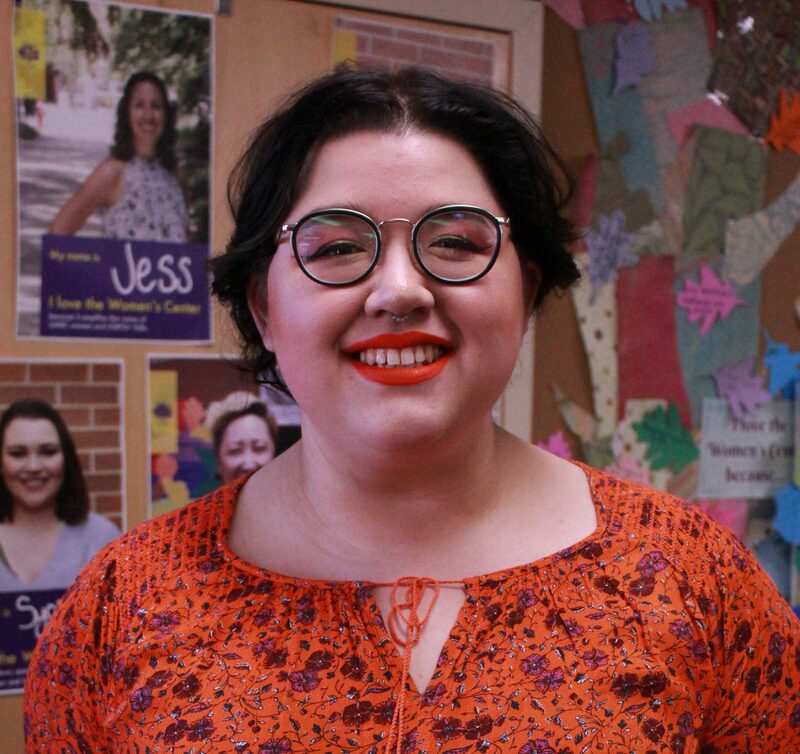 I am psyched to have more of a presence in the Women’s Center this year, and hope to be able to showcase my passion for feminism, social justice, and the LGBTQ community. as a Women’s Center Staff member, and I couldn’t be more ecstatic to be a part of the community! I’m a double-major in Political Science and Sociology, and am currently on the pre-law track. I hope to one day use my law degree to combat violence against women and children. During my time at the Women’s Center, I hope to create a diverse, empowering and safe environment for everyone. On a side note, I love learning about people’s backgrounds, cultures, histories, and politics. I love fitness, soccer, and yoga. I’m all about self-care (i.e. art, journaling, meditation) and being positive! I love baking and cooking. I’m a crime show nut (i.e. Law & Order, Criminal Minds), and I try to keep up with the news. Feel free to stop by for a chat or to say “Hi!” to me if you see me around campus! Hey! I am Sheila! 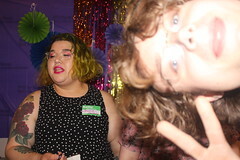 I am double majoring in Social Work and Gender and Women’s Studies with a minor in Critical Sexuality Studies, hoping to make a career out of sexual health and LGBTQ+ advocacy, with a focus on counseling. This will be my second year at UMBC but my first year at the Women’s Center as an intern, and I am super excited to be part of this great space. I am always running around campus, I am a member of Lambda Theta Alpha Latin Sorority Incorporated, as well as the president of the Multicultural Greek Council. I also work at the new UMBC Arena and Event Center. I love talking about politics, eating anything that has raspberries, and having conversations that are filled with witty sarcastic humor. 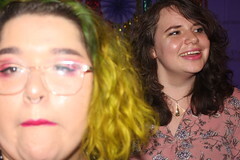 I am loud, opinionated, and like talking about feminism and sexuality in crowded spaces… and not even remotely sorry about it. If you ever see me around campus, feel free to stop me just to chat. Hi everyone! My name is Sydney and I am currently a graduate student in the Applied Sociology program here at UMBC. My research surrounds social inequality and social justice based on intersectional identities such as race, class, and gender. I am also a teaching assistant on campus for Sociology 101 and love working with students! After graduating with my Master’s, I hope to become an adjunct professor in the Sociology department and become more involved in activism and advocacy, both on campus and in local non-profits. I hope to help foster a more open and accepting community for sexual assault survivors by working on the Supporting Survivors Workshop offered through the Women’s Center. I’m excited for my skills and knowledge to grow while working on issues that I am passionate about on campus! I cannot wait to work more closely with students, faculty, and staff so don’t be afraid to come say hi! And I’m NOT a stereotype! I’m not a “dumb blonde.” I’m smart and kind! In 2007 I was on Good Morning America for Special Olympics cheerleading. ere in New York people would come up to me and ask me for my autograph. When I played basketball, my team got 2nd and 3rd place in Special Olympics and in the awards ceremony I got the sportsmanship award for being a good captain. We got to use our high school basketball uniforms. We did really well! We played against the best teams in the championship. We kept getting 3rd not 2nd but I’m not complaining. I went to the Montgomery County Fair’s Got Talent and I got 5th place in it. The song I did was, “I Have Nothing” by Whitney Houston. Everyone liked the song and I got lots of people saying good job. Hello, folks!I’ve been at the Women’s Center in some capacity since I was an intern in 2013 and now I’m here as a professional staff member–dreams do come true! 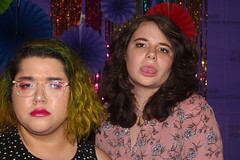 I love the Women’s Center because it takes all of the cool, abstract, out there ideas in feminist theory and puts them into action, whether that’s in creating workshops for our community members or offering 1-1 support to people who need it. I graduated from UMBC in 2015 with my B.A. in Gender and Women’s Studies and a minor in Writing, and have been eager to go full throttle into social justice and feminist work ever since. I’m currently pursuing my Masters of Social Work at the University of Maryland, Baltimore. On a more personal note, I am the funniest feminist killjoy you’ll ever meet! I’m really proud to identify as a queer woman of color and I am eager to continue really testing the ways we can think about activism and pedagogy through a critical social justice lens. I love art and design, music, pop culture, and comics. My love language is gift-giving, and I’m a ~pisces~. Looking forward to meeting y’all in the Women’s Center! Hey hey hey! I am a new Coordinator at the Women’s Center. 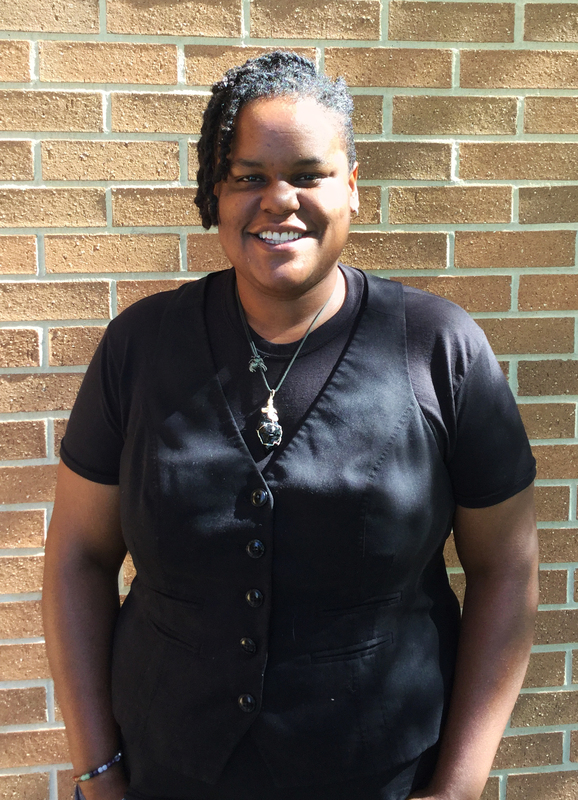 I am a UMBC graduate student pursuing a masters in Instructional Systems Development. I hope to use my degree to consult with schools and provide innovative social justice and arts integration curriculum. Over the past few years, I have worked with the UMBC Women’s Center in a number of ways, facilitating Between Women discussions, working alongside other speakers for the Telling Our Stories workshops, and as a performer at B’More Proud. For me, brave spaces like the women’s center help to create opportunities where our differences can be celebrated and communicated. Working here will make me an even better educator! When I am not studying or in the Women’s Center, I enjoy cooking, walking around Baltimore neighborhoods, traveling, and performing my music. I use my music to give visibility to stories for folks like me; queer, black, weird, and everything in between. I am so excited to work with the awesome WC staff and to meet the students that come in to hangout. If you’ve gotten to me on this blog post and you’ve read all the cool bios above, you must be thinking, “Jess has the coolest job ever” – and I do! I’ve been working at UMBC in the Women’s Center since January 2011 and I couldn’t be more happier to work every day in what has always, and still is, a dream job for me. I love being able to live out my personal values centered in feminism, anti-racism, and social justice through my job as director in the Women’s Center. I approach my work from my collegiate background in social work and identify as a student affairs professional, and as an introvert (INFJ!! ), I thrive on building personal and authentic relationships with students and colleagues. I love being silly. I relish in the opportunity to use Leslie Knope gifs as a mode of communication. I recommit to social justice and feminist values each day and deserve medals for my fierceness in spin class (I’m also secretly, not so secretly, pretty competitive). I’ve lived in Washington, D.C., Kingston, Jamaica, and Fort Collins, Colorado and Baltimore is my hometown and my forever home. I’m looking forward to another great year in the Women’s Center and can’t wait to co-create it with you!